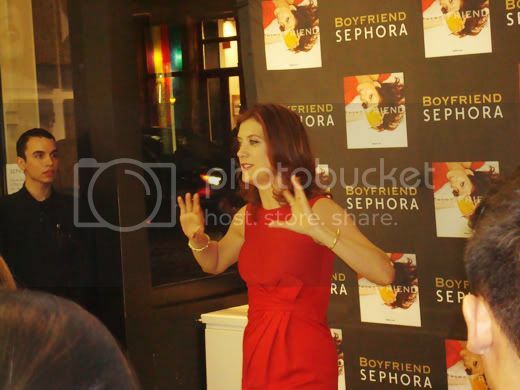 On Wednesday, I had the pleasure of being introduced to actress Kate Walsh’s “Boyfriend” at the Soho Sephora location. And boy does her “Boyfriend” smell good to me! I was so glad I was able to take in his scent and a piece of him home with me. Okay, you got me. I’m not actually referring to her mate. 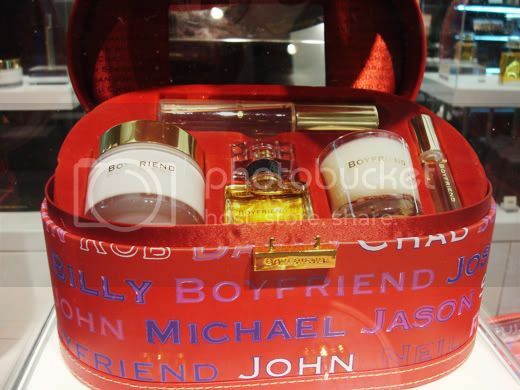 Kate Walsh’s new fragrance is titled “Boyfriend’ and is in stores now. I absolutely LOVE the concept of the fragrance. The overall inspiration of the scent is definitely something I can relate to. How many times have you met that guy and hugged him just for his scent to rub off on you. Or how about the times when your beau gave you a shirt to borrow still drenched in his fragrance? Tell me you didn’t love every minute of it. I have. And this is exactly what “Boyfriend” is all about. I would describe “Boyfriend” as a ball of sweet vanilla masculinity, a bit of an androgynous flavor and scent, if you will. The bottle and packaging coincides perfectly with the mannish-ness of the scent as well. Check out all the guys names on the boxes, how cute. Terry Richardson, the photographer responsible for shooting the ad campaign embodied the simplicity of the fragrance and its back-story perfectly. It’s very reminiscent of Marc Jacobs’ ads. Love it. Now we all can just go out and buy a “Boyfriend” and not feel guilty or dirty about it. Next time you're in a Sephora store, which I know most of you is like every other day. sample the fragrance and let me know what you think. I love the packaging and concept! 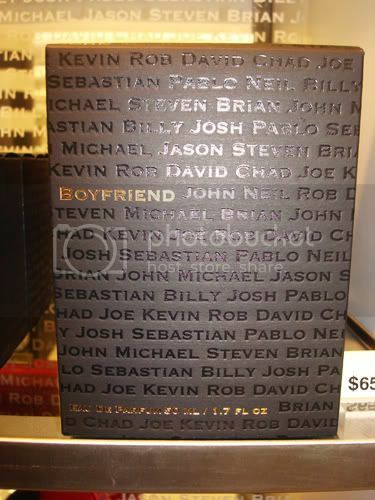 I will be heading to Sephora soon to get a whiff of Boyfriend. This post came just in time...I'm in the market for a new fragrance.